This article was peer reviewed by Mallory van Achterberg. Thanks to all of SitePoint’s peer reviewers for making SitePoint content the best it can be! 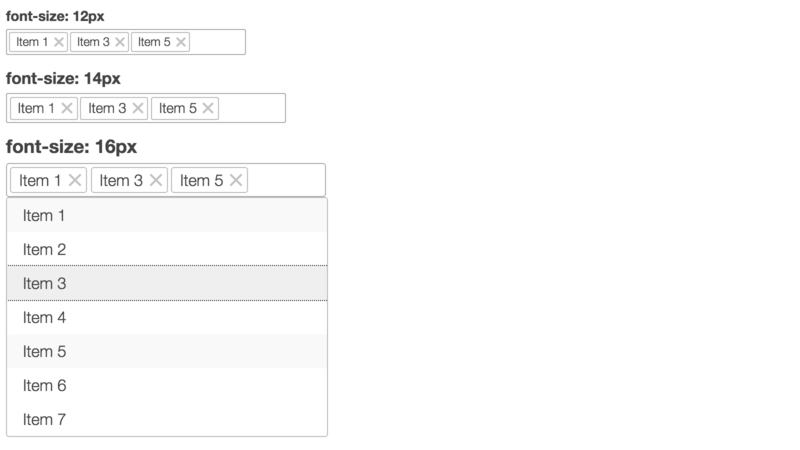 In a previous article I demonstrated how to create a multiselect web component. In the comments section of that article, readers touched on the very important subject of web component accessibility. Undoubtedly, for today’s web it’s vital to be accessible, so let’s talk about what accessibility stands for and see (by means of a real-world example) how to make a web component more accessible. The code in this article will build upon the code from my previous article. You can grab a copy of it from our GitHub repo, or check out a demo of the accessible component at the end of the article. What Does Web Component Accessibility Entail? Let’s discuss each aspect in a little more detail. I’m sure you’ve heard about screen readers. A screen reader is a piece of assistive software that allows blind or visually impaired people to use applications by reading aloud information displayed on the screen. There are many screen readers out there, among them NVDA and JAWS for Windows, ChromeVox for Chrome, and VoiceOver for OS X. When an element receives focus, the screen reader offers information about it to the user. Thus when an HTML <input type="text"> is focused the user knows from the screen reader that they are dealing with text field (and can input something). But if the element is just a bare <div>, the screen reader has nothing to say about it. To solve this issue we can use WAI-ARIA (Web Accessibility Initiative – Accessible Rich Internet Applications) to add special ARIA attributes to extend the semantics of the component markup. These additional semantics help assistive technologies to identify properties, relationships, and states in your user interfaces. The practical guidelines for using ARIA can be found here: WAI-ARIA Authoring Practices, alternatively (for a quick refresher) you could read our Introduction to WAI-ARIA. The goal is to make it possible to interact with a component using only the keyboard. WAI-ARIA defines behavior and the keyboard interactions for many UI controls. To know which keys should be supported by which component, find the description of your component or a similar one in the specification and use that. 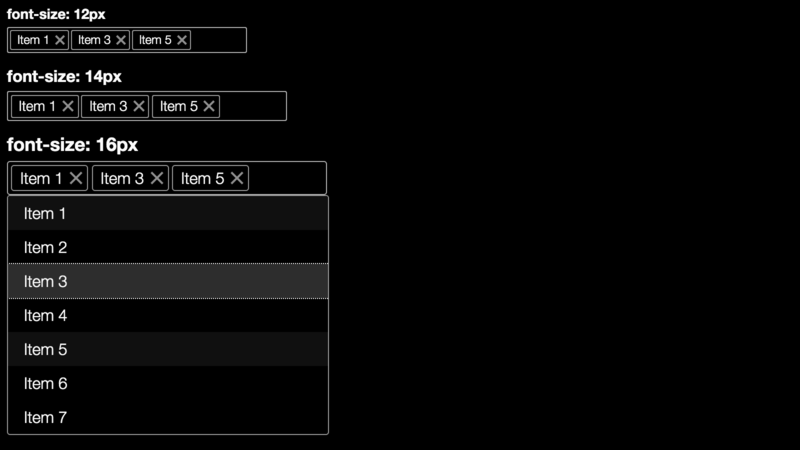 For instance, the multiselect is similar to the combobox. Even with keyboard accessibility in place, it’s good practice to let users know which keys/key combos to use to interact with the component (for example by providing some instructions in the application) since this might not be obvious. Are the elements and text big enough to clearly see them? Does your component look as expected in high contrast mode? Is it possible to use your component without colors? Remember, not all visually impaired users are legally blind. There are many users out there who (for example) have low vision or color blindness. Don’t forget, you can view the demo of the component at the end of the article, or download the code from our GitHub repo. All of the code snippets can be found in the multiselect.html file. The accessibility rule of thumb is to use native HTML elements over custom ones. This means, if you can use a native HTML control with built-in accessibility, do so. Add ARIA attributes only if you really need to create a custom component. If you’d like to find out more about this, read Avoiding Redundancy with WAI-ARIA in HTML Pages. In our case the multiselect is a custom component, so we need to add ARIA attributes. First, let’s find a component similar to the multiselect in the ARIA specification. After a little research, it appears that the combobox looks and behaves similarly. Great, now let’s see which ARIA attributes we need to add according to the combobox description. And that’s it, the ARIA properties have been added. The next step is keyboard support. Let’s open the specification and look at the Keyboard Interactions section to see which interactions we need to support. Once the key press is handled, we prevent the browser from carrying out its standard action by calling event.preventDefault(). The _focusedItemIndex property stores the index of the focused item. If the Down Arrow is pressed at the end of the list, the focus goes to the first item. 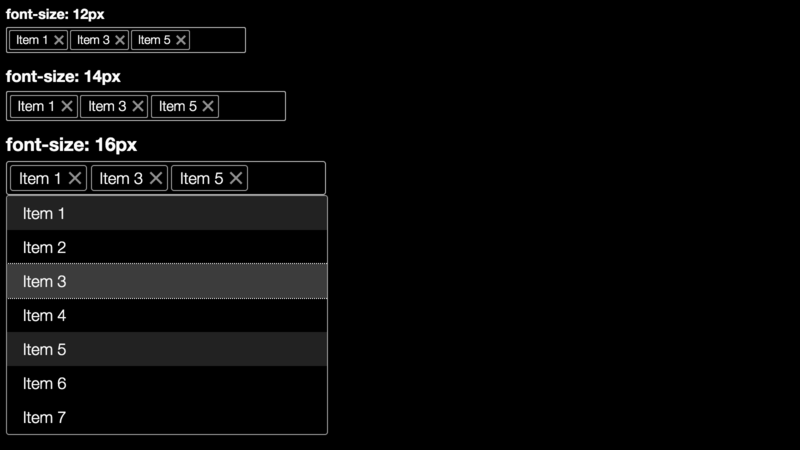 Now we have supported all necessary keyboard interactions, so the component can be used with the keyboard only. People with low vision or other visual disabilities sometimes use high contrast mode. OS X allows users to enable high contrast in the settings, whereas Windows provides special High Contrast Themes. There is also a popular Chrome extension called (surprisingly) High Contrast that allows users to browse the web with high contrast color filters. Color accessibility is another important aspect of visual accessibility. There are many color-blind users exploring the web. This means that color should not be the only way to convey important information to the user. Here we can check how our component looks in grayscale mode (it’s usually provided by OS or special applications). Saying this, our component only consists of gray colors, so this is a check that we can skip. See the Pen Multiselect Web Component by SitePoint (@SitePoint) on CodePen. The markup is semantic, so that assistive technologies such as screen readers can help users when they interact with the component. To do that try to use native HTML controls or, in the case of custom controls, add meaningful ARIA attributes. The component can be used with the keyboard only. To achieve that make your component focusable with tabindex. Implement keyboard interactions following the ARIA practical guidelines. The component can be used in high contrast mode and without colors. Thanks for reading. Feel free to share your experience in making web components accessible in comments.